Easy invoice and billing for Mac. Is there a better alternative to MacFreelance? Is MacFreelance really the best app in Finance category? Will MacFreelance work good on macOS 10.13.4? 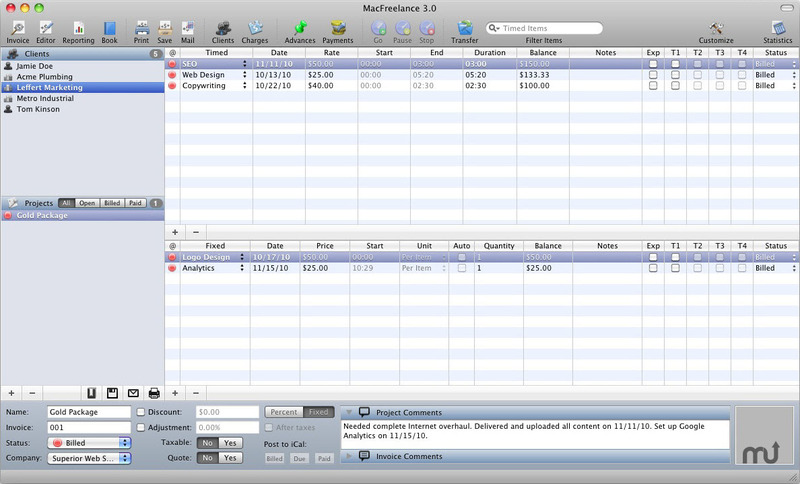 With MacFreelance, creating and managing invoices is a snap. Get started now! Customize your invoice by adding your logo or simply use any of the included professional templates, and you can get your first invoice out in minutes.